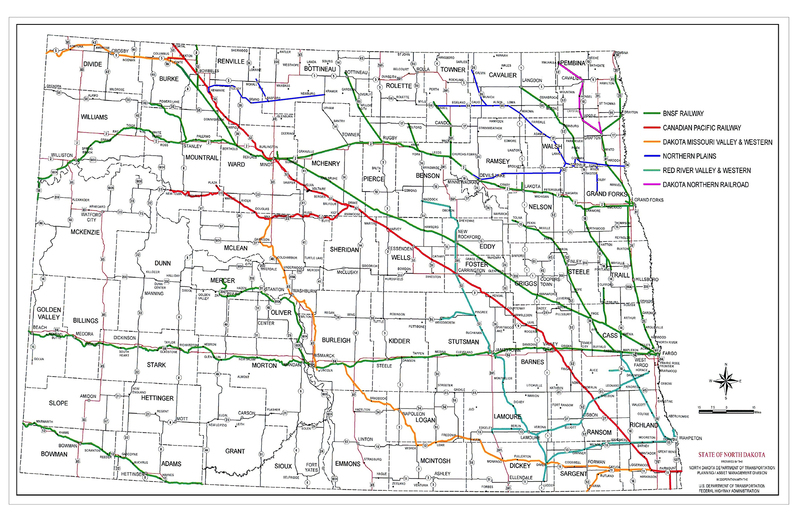 State law provides that the Public Service Commission is the state agency that is charged with representing North Dakota's rail interests before federal agencies and in direct negotiations with rail carriers. The Commission also has jurisdiction over specific safety and landowner rights matters. The Commission's regulatory authority over railroads diminished as a result of the enactment of the federal Staggers Rail Act in 1980 and the Interstate Commerce Commission (ICC) Termination Act in 1995. The 1995 enactment eliminated many ICC functions and transferred all remaining duties to the Surface Transportation Board (STB) within the Department of Transportation. Despite the agency's fairly narrow jurisdiction over railroads, the public continues to associate the Commission with railroad regulation. The Commission does, therefore, receive a large number of contacts concerning a wide variety of railroad issues. These contacts involve matters such as fencing along rail rights-of-way, the sale of land along abandoned lines, blocked crossings, lease rates on property owned by railroads. Despite a lack of specific jurisdiction in many of these areas and a corresponding lack of staff resources, the Commission does attempt to help citizens who have questions or concerns involving railroads.